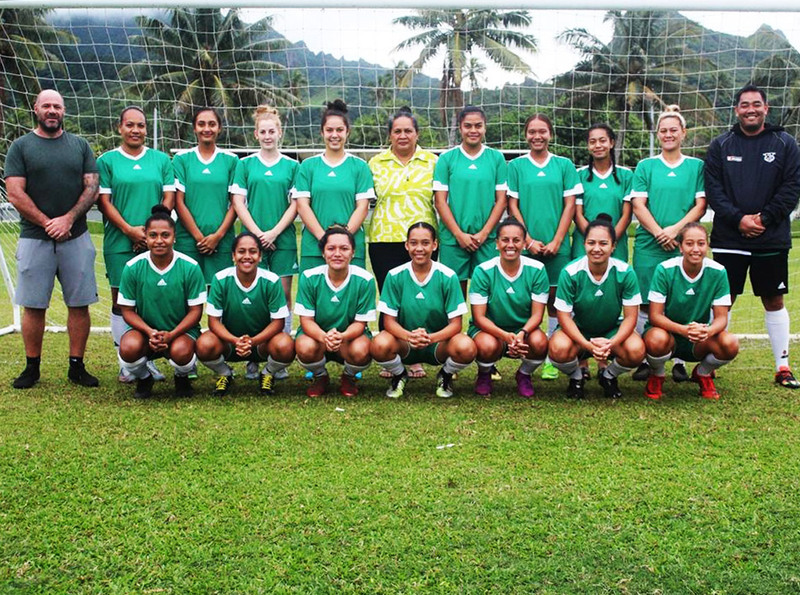 The Cook Islands women's development team are in Tahiti for two friendly matches this week. The Cook Islands women’s development team will tour Tahiti from the 7th – 14th July 2018 in preparation for the 11th edition of the OFC Women’s Nations Cup scheduled to take place in New Caledonia from the 18 November to 1st December 2018. The team will spend a week in Tahiti and will play two international friendly matches against the Tahiti Women’s national team. The Cook Islands Women’s coach, Jason Stephens has named his squad and is looking forward to working with the talented group, many of whom are only 16 years old. “We have chosen a real young squad, ten players of which are 16 years of age, a couple more under 19 years and a few older heads. A few are new to the national set up. All 11 OFC Member Association countries will take part in this year’s OFC Women’s Nations Cup and the winner of the competition will qualify for the FIFA 2019 Women’s World Cup and the Olympic Women’s Football Tournament in Tokyo in 2020. The first stage of the competition will begin in August when Fiji, American Samoa, Solomon Islands and Vanuatu will meet for the last available spot in the group stage. The winner will join Tonga, the Cook Islands and the reigning champions New Zealand in Group B. Group A features the hosts New Caledonia, along with Samoa, Papua New Guinea and Tahiti.